No one enjoys getting a painful shot. But diabetes sufferers often must accept daily injections as necessary for survival. Some scientists think a solution may be on the horizon. They have figured out how to hide a shot inside a pea-sized pill. 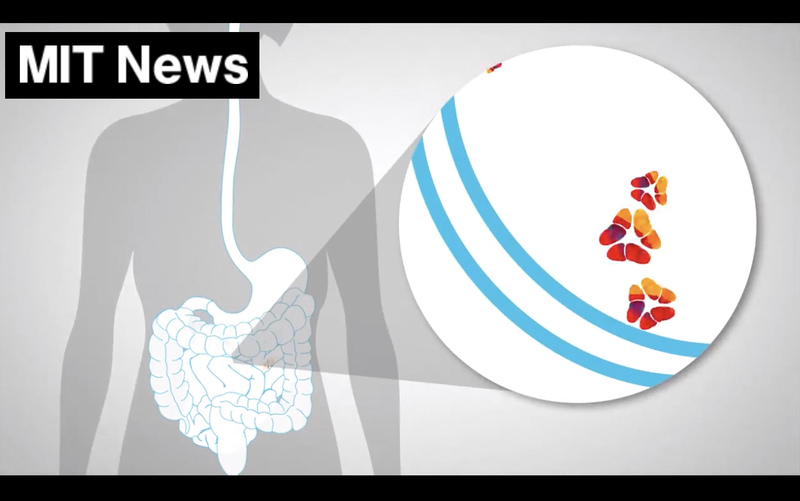 Once swallowed, the pill injects its medicine inside the stomach. The pill was inspired by a tortoise shell—another of God’s amazing creations that researchers look to for ideas. Patients usually prefer oral treatment—swallowing something and digesting it—to getting shots. Obviously, avoiding painful pinches and pricks is desirable. But some medicines, including insulin, can’t survive the harsh trip through the human digestive system. Injecting into the blood stream has been the best option in those cases. The new invention comes from a Massachusetts Institute of Technology-led research team. So far, it’s been tested only in animals. But if it pans out, it might make not just insulin but a variety of injected medicines easier to take. For decades, scientists have wanted to develop oral insulin. They’ve tried encasing it to protect it until it reaches the intestines where the bloodstream can absorb it. But some level of injection still needs to be used at this point for effective delivery. Hence—the new pill shot. 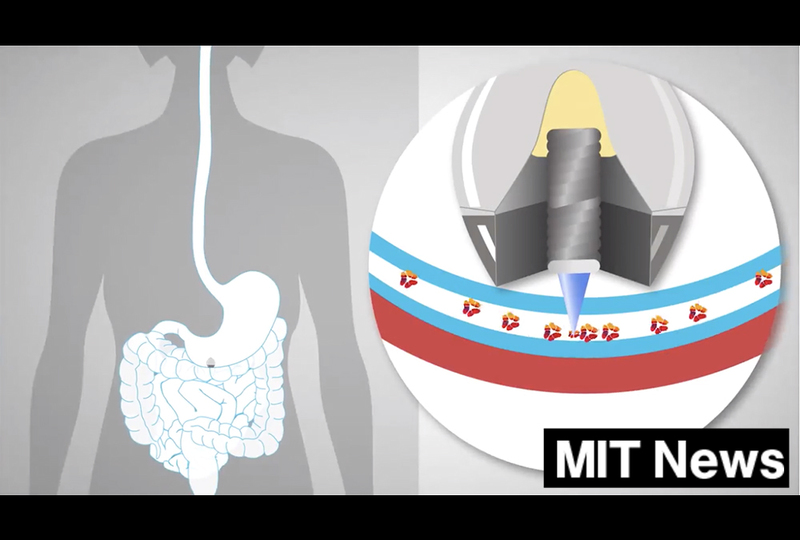 The ingestible injection could bypass the hazards of digestion, delivering insulin directly through the stomach wall. 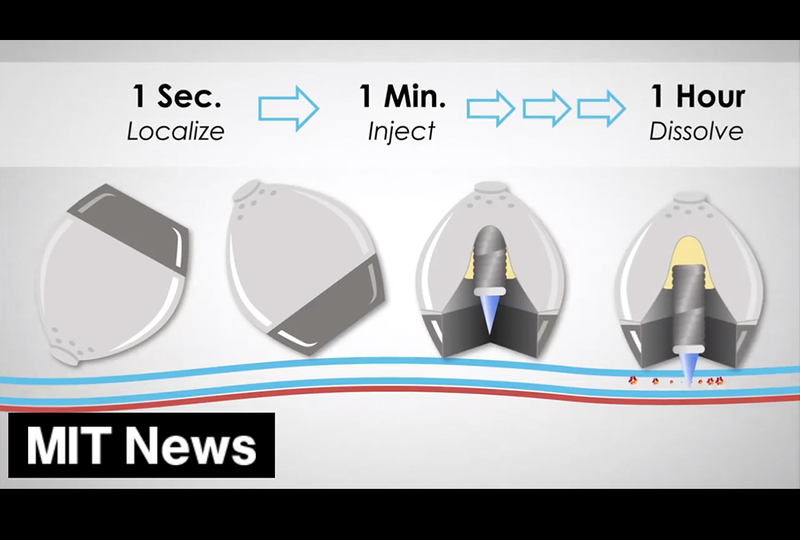 The first challenge was making sure the device lands exactly where it needs to, so that it can poke its medicine into the precise spot—even if the patient is moving around. So researchers looked to nature. They found a solution in the design of the African leopard tortoise. The leopard tortoise has a steeply curved shell. If flipped on its back, it can right itself. 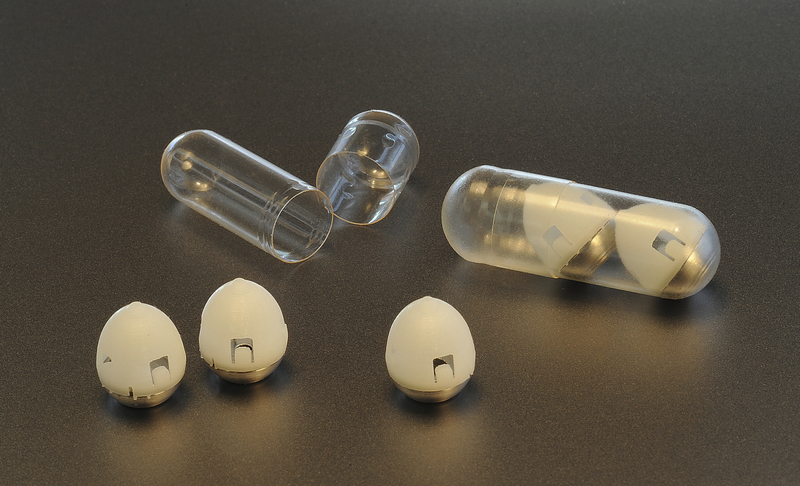 So pill designers crafted a capsule with a similar shape and weighted bottom. Once it reaches the stomach, it automatically rolls in the right direction to latch on. 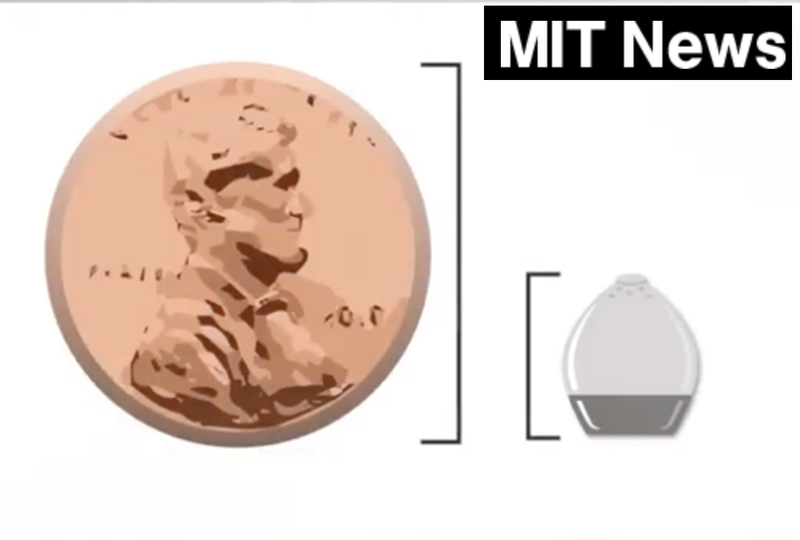 The pill is equipped with a micro-injector made entirely of dried insulin. It is compressed into a sharp point and propelled by a spring that is bound to a hardened sugar disk. As stomach acid dissolves the sugar, the spring pops and—BINGO! Insulin is shot into the stomach wall. The capsule, made of stainless steel and a biodegradable material, floats free and is excreted. In a test with pigs, the ingestible injection lowered blood sugar to levels comparable to standard shots—without the painful external poke. Huh. I really don't know what to say. Ok, I'm going to comment on this first, then on the main point of the article: I HATE WHEN THEY TEST STUFF ON ANIMALS!!! I mean, if they are testing it with medications that are used to cure animals I guess that's ok, but I hate it when they abuse animals to try out new products to see if they'd be safe for humans. I wonder if they could use the same tech on animals. Ok, now for my comment on the pill. I think this is great! Diabetics have to get a shot once a day to keep their blood sugar at the right level. Although, I have one question: could they make a pill like this to be used specifically for animal needs. I assume that they could since they are testing them on animals. I think that it could be quite useful. i would never swallow that!!!!!!!!! Bear with me, it's 7:00 A.M.
Of course, animals are different than humans, but people could essentially use the same technology to be able to give animals pills. There is a tool called a bolus gun. It's basically a pipe that you put down an animal's throat (I'm referring to cows here) with a pill at the end of it. Once it's in the cow's throat, then you push the end so that the pill goes down into its stomach. If people could make a pill that has the vaccines that cows need yearly, then they wouldn't have to do injections. Although that may seem like a lot of work, vaccines can potentially damage or bruise the meat, making bad to eat. I would NEVER want to try those!!!! The animals are being treated perfectly fine-plus God gave us dominion over animals did He not??? yes you are rite! glad somone sead that!! Did you know that people used beagles for testing because of their trust for us!? How cruel! They are using animals and betraying their faith and trust in humans! I mean, scientists are testing products that they don't want on their own skin, on the skin of animals! So, some of the animals, obviously, are being treated with abusive and harmful behaviors. Wow, that's awful, Alaina F.! Wow, that's awful, Alaina F.!! I think that we should be able to use our right to rule over animals, but we shouldn't abuse it by being cruel. That's crule!!!!!! I had a Begal once it was the bratiest dog on the face of the earth!!!!!! Come to find out she cam from a puppy farm:( and we didn't train her rite. They shouldn't abuse animals like that! Beagles are typically loyal dogs and tend to cause little trouble. Puppy mills/farms are so sad... that's probably why she was misbehaving. Thanks I'm sure she will be better by tomorrow. She is so cute!! I ♡ my dog! wlel i can only do it on my mom's phone. you press the button for the ) ( * & ^ % @ ! ~`/?.,:;"' and all those things then theres a button that has a 1/2 on it I pressed that and it gave me the option to do a heart. did that make eny sence? NO! That made no sense at all. it was just a jestcher. .How. Did. You. Do. That!!!!!!!!!!!!!!!!!!!!!!!!!!!!!!!!!!!!!!!!!!!!!!!!!!!!!!!!!!!!!!!!!!!!!!!!!!!!!!!!!!!!!!!!!!!!!!!!!!!!!!!!!!!!!!!!!!!!!!!!!!!!!!!!!!!!!!!!!!!!!!!!!!!!!!!!!!!!!!!!!!!!!!!!!!!!!!!!!!!!!!!!!!!!!!!!!!!!!!!!!!!!!!!!!!!!!!!!!!!!!!!!!!!!!!!!!!!!!!!!!!!!!!!!!!!!!!!!!!!! no ofence. don't take that in a bad way. I would NEVER take that! Alaina, sometimes testing can be cruel but I don't think it was in this case. They needed to test it on something and it's not right to use a human so they used a pig. It probably didn't hurt it at all. Maybe not in this case, but in others, YES! I'm fine with testing that doesn't hurt the animal or betrays their trust. But I hate, HATE, when they harm the animals just to test some stupid 'Pear and Carmel Perfume'! That's just wrong! thats ok.! I understand you! I love animals!!! https://teen.wng.org/node/2585?page=1#comment-47859 then scroll to the top. I think that tose would be really great. I hate shots and would want to do something different. Since a lot of people don't like shots im surprised that they are just trying to do it now. Alyssa S. I agree. We are better than animals but that doesn't mean we should abuse them. This is what I said; I am AGAINST abusing animals!! "I think that we should be able to use our right to rule over animals, but we shouldn't abuse it by being cruel." I know what you meant! I don’t know, it could be dangourous! And I don’t want to have something injecting in my stomach! I’m glad that I’m not diebetic!